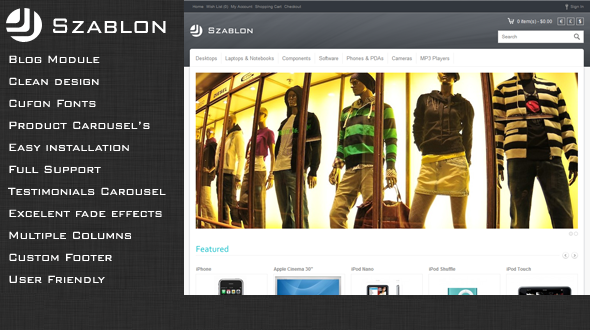 Szablon is Clean and Modern OpenCart Theme. You can use this theme to any type of shop! Be sure to checkout the live demo to see this theme in action! Blog Module – Stay fresh with Your Customer! Produtct Carousel – and now simple navigation !